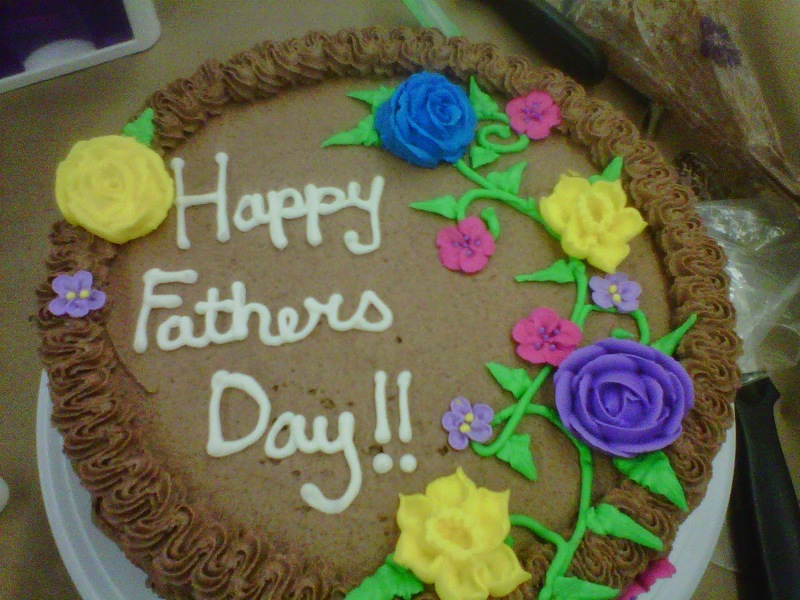 This cake was made to celebrate Fathers Day. Size: This cake was made out of two 9 inch round pans, stacked ontop of each other. Taste: The flavour was chocolate cake. 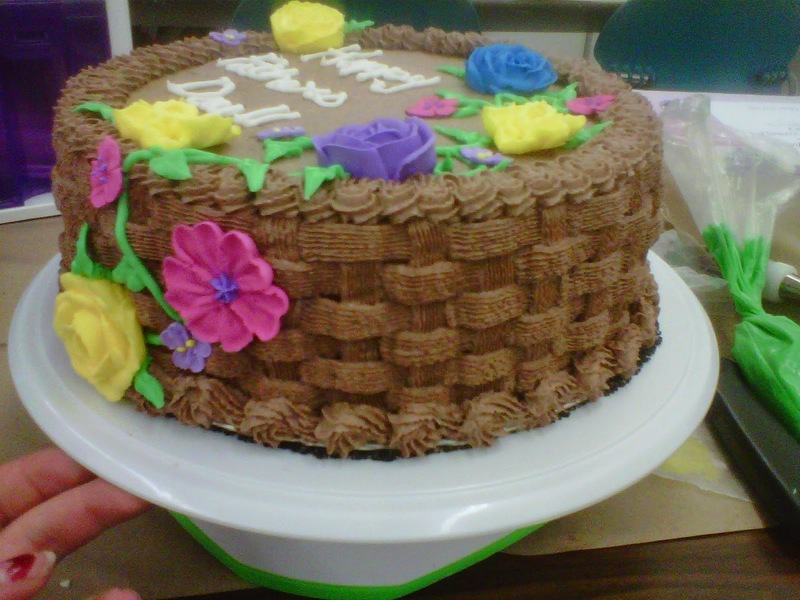 Filling: This cake was filled with chocolate butter cream icing and chocolate pudding. Icing and decorations: This cake was iced with homemade chocolate butter cream icing. The flowers are made out of royal icing and are hard, but still edible.